Unlike most little girls, Violet Hong didn't really dream of becoming a ballerina and dancing in pink tutus. Painfully shy and quiet at the age of five, she was content to follow her best friend's lead. Thankfully, the interest turned to ballet and the two girls found themselves learning to stand on their toes. It turned out that her teacher really did see something in Violet and was quite serious about seeing her dancing on stage. When the ballet school organized a production of Romeo and Juliet, she was immediately chosen to perform the female lead. Back then, her home was quite far from the studio and she was not able to attend classes as often as she should. Unfazed, her teacher volunteered to pick her up and drive her home just to make sure she got to rehearse regularly. Violet was in her final year in university. While her parents encouraged the hobby, they were not completely sold on a dancing career for their daughter. They wanted her to become an accountant. "Accounting is the best job ever!" she was told repeatedly. But when her father saw the lengths she would go to make rehearsals and be ready for stage, something clicked and he realized that his daughter was quite serious. "My dad came and watched all three performances. Then he told me, 'Oh, you really like dancing!'" Violet shares. He struck a bargain with his daughter. She would be allowed to pursue ballet seriously only if a school would accept her and if she would receive a certificate upon completion of training. At 22 years old, Violet's prospects seemed slim. Most dancers begin training at a very young age, pursuing a professional career as early as 12. The search was difficult until a friend pointed her down under. "She told me about this school, the Australian Conservatoire of Ballet. They provide diploma courses, and they said, 'It's okay. We can accept you.' Within a month, I was on a plane to Australia." The adjustment was a struggle. Apart from getting used to a new country, Violet had to shed her "hobby" mindset and shift to a more professional outlook. Used to dancing only once or twice a week, the daily classes from 9 a.m. to 4 p.m. took its toll. She was in a lot of pain. Emotionally, she clung to her father's encouragement for support. Still very shy, Violet found it difficult in the beginning because her peers were all much younger than her and she didn't speak English as fluently then. But when she found her footing, she finally understood why she fought so hard for this chance to dance. Ballet, she realized, was – and is – so much fun! The experience taught her to be independent. She learned to take care of herself – from cleaning up to ensuring that she got enough to eat. Having lived a pampered life in Malaysia, her time in Australia taught her how to be strong, to face problems head on and to enjoy the new experiences that life had to offer. She completed the training and came out of it stronger than ever. But once again, it was decision time. "After two years, I was like, 'Oh no! I'm going to do nothing!' I was so scared to go back to Malaysia!" says Violet with a laugh. But she didn't need to look far. The school organized a trip to Europe called an audition tour where the graduates could apply to the various ballet companies to jumpstart their professional career. "It was so expensive! But if I don't try, I won't get anything. Well, I didn't get anything. It was so hard. It was very competitive. There would be hundreds of us and they would only need one girl. So I came back to Australia and my teacher asked me what I wanted to do. I could stay and continue classes to keep me in shape while I keep auditioning. But my parents called. They said it's time. I had to go home." Back home, she continued to send out applications to different companies, this time in Asia. Bangkok City Ballet was the first to reply. They couldn't hire her but they could accept her as a trainee. There wouldn’t be a salary and she would have to pay for her way. Violet remembered what her teacher said, that that was the life of a ballet dancer. That one had to take every opportunity that is offered. "I almost took that offer. But it took a while for them to reply. During the wait, I got a reply from Ballet Manila. They offered me a scholarship for the summer workshop and that will serve as my audition. And my first thought was, it's okay! Even if I don't get accepted, at least I get to dance for two months! So I came. That was in 2013." The workshop ended but Violet's career was about to begin in the most spectacular manner. 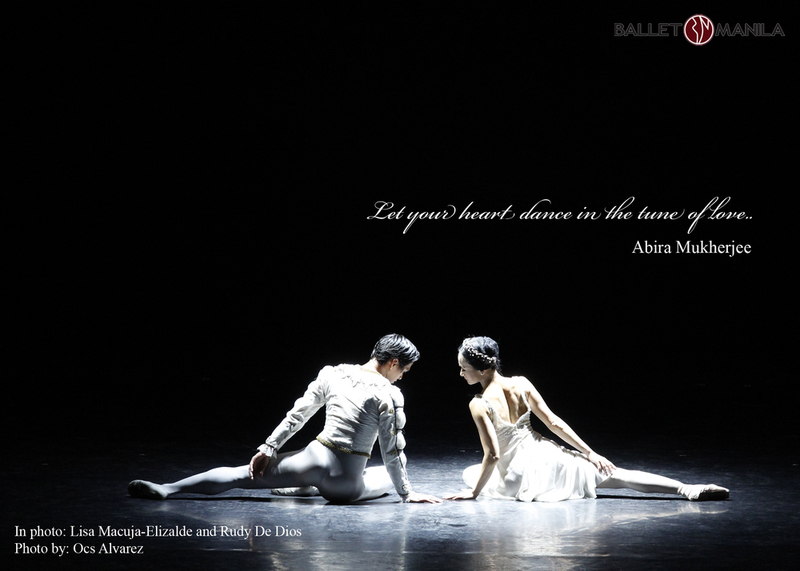 BM artistic director Lisa Macuja-Elizalde invited her to join the company for a show in Macau. She was offered an employment contract and has been dancing with the company ever since. Having survived two years on her own in Australia, Violet was confident she could survive Manila as well. Luckily, she was "adopted" by the family of a fellow workshop participant. They made sure she had company during holidays and dutifully introduced her to the local cuisine. "When I first came, the first month, I remember there was this nanay (mother) who was selling food. And I would only order barbecued chicken. That was my lunch and dinner everyday. It was the only food I know and it tastes good!" Thanks to her adoptive family, she discovered kare-kare – her favorite Filipino dish – and a host of other local specialties. Apart from the food, Violet also had a crash course on Filipino dance culture. 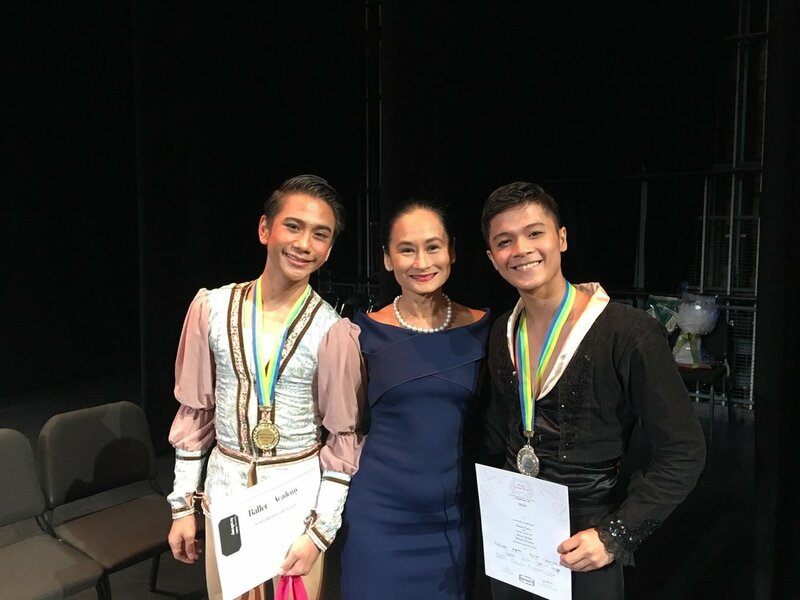 Among the staple Ballet Manila pieces that she had to perform was Sayaw sa Pamlang which incorporates traditional Filipino dance movements that she was completely unfamiliar with. "I had a lot to catch up on. And I had to understudy for Sayaw sa Pamlang. That's really hard! 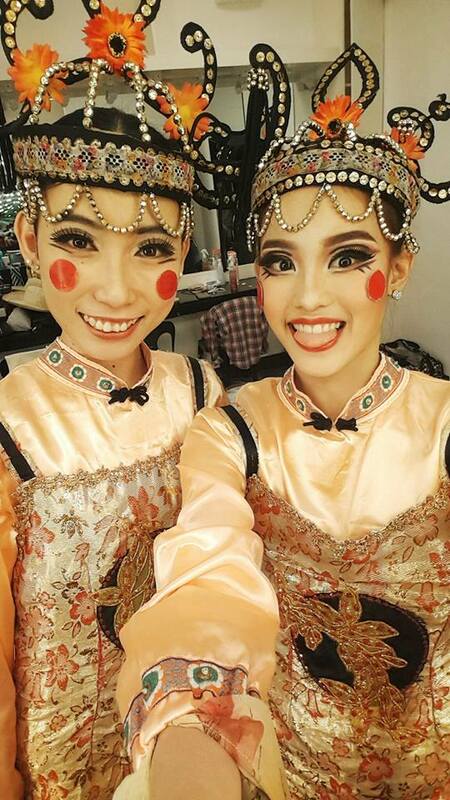 It's not just ballet but also traditional dance. I'm so not coordinated for that! I remember laughing at myself because I felt stupid. It took time before I became comfortable." 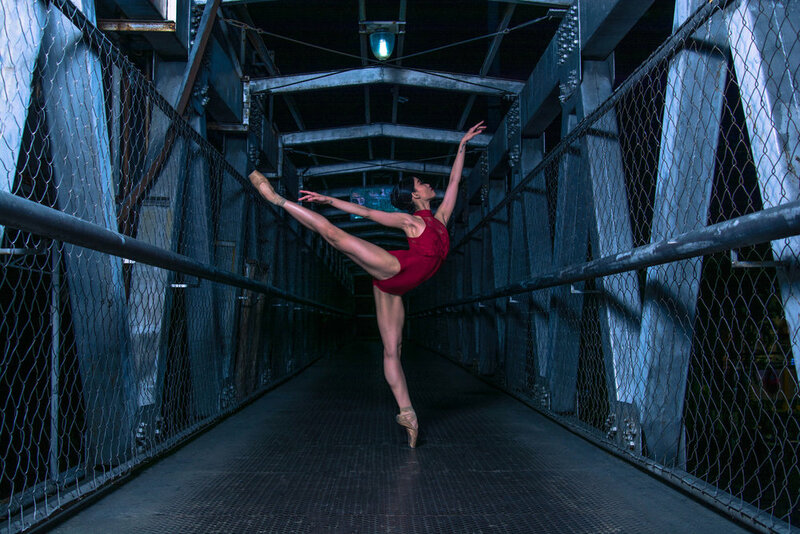 As a member of the corps, Violet has performed in many of the company's full-length productions including Pinocchio, La Bayadere, Giselle and the contemporary Filipino classic, Rebel. Recently, she took on the role of the Lilac Fairy in The Nutcracker segment of Ballet Manila's The Swan, the Fairy and the Princess. "I felt so pretty because the tutu is really nice!" gushes Violet. "I really liked that! And it means a bit more to me because last year, I was supposed to join the Asian Grand Prix but I got sick. Then after that, I haven't done anything much. Maybe they thought I was still weak and needed strengthening. So this one is really a big thing to me. I have a solo!" 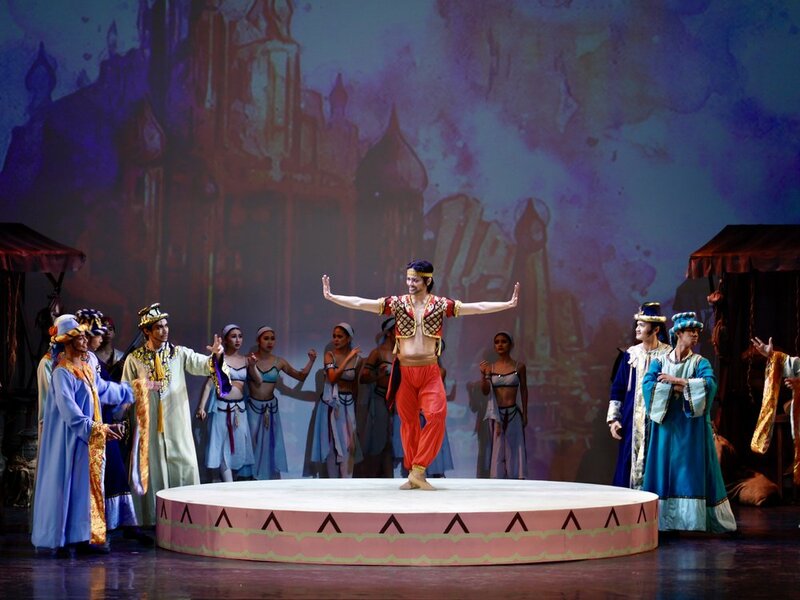 Having proven herself capable, she has been once again entrusted with a significant role in Ballet Manila's holiday production – Lisa Macuja-Elizalde's Cinderella. She will be performing as one of the wicked stepsisters. "I am very excited for that role! I'm not yet sure if I'm supposed to be ugly or funny or mean stepsister but I feel that because it's really opposite of myself, I am looking forward to trying it. When I did the Lilac Fairy, it felt like I just needed to be pretty. But this time, it's very different so I am looking forward to it." Indeed, there is much to look forward to. No longer that shy child simply following her friend's lead, Violet has charted her own course against all odds. And her blossoming has revealed a strong woman standing confidently on her toes.